Very few individuals can have made a more lasting contribution to Tasmanian football in the first half of the 20th Century than John Carlton ‘Jack’ Gardiner. 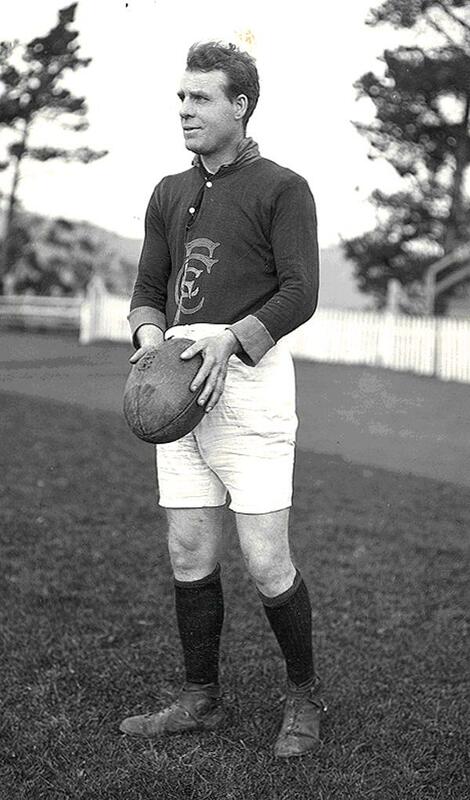 Born in Victoria in 1881, Gardiner first played the game for St Jude’s in Melbourne in 1900, before following the family tradition and joining Carlton, where his father John Snr and brother Vin both forged fine careers; his father in fact had been the first ever Victorian colonial team captain in 1879. Jack managed 16 games in two years at the Blues, but at the end of 1902 he made the switch to Melbourne, where he would play 69 games from 1903-07 and become a mainstay of the Redlegs’ midfield. WWI put football in the state on hold from 1916, but Gardiner was determined to keep some level of football competition alive in Hobart, and as such was instrumental in the founding of the three-team association consisting of the City, IXL and Artillery teams. By the time TFL competition was fully re-established in 1919, Gardiner – now aged 38 – was not expected to return in a playing capacity for Cananore. Amazingly he did just that, this time as captain-coach, and led the Canaries to two more TFL/state premiership doubles in 1921 and 1922. At the end of 1923 Gardiner moved to become captain-coach of North Hobart, and spent two years at the Redlegs before finally retiring – aged 44 years and four months – after North Hobart’s 53-point loss to his old side Cananore in the 1925 TFL grand final. After retirement Gardiner served many clubs in varying coaching and administrative roles. Coaching stints at Kingston, New Norfolk, Hobart High School, Friends School, St Virgils and Cananore seconds only enhanced his reputation as one of the finest football minds in the state. Likewise, his administrative career – which had begun with periods on Cananore’s committee during his playing days – took him to roles as Secretary of the Hobart Football Club after WWII, as well as heavy involvement in both the North Hobart and Cananore Old Players Associations. After more than half a century in the game Gardiner retired in 1955 aged 72, and passed away in Hobart aged 84 in 1967.